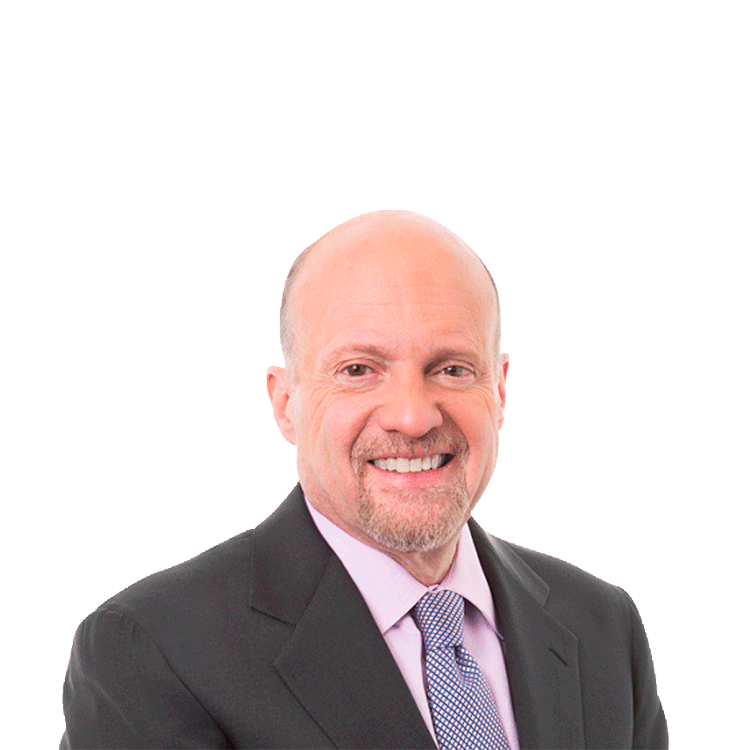 Jim Cramer: Is the Fed Right With Its Current Course of Raising Rates? We are in the midst of earnings season where we can piece together a mosaic of what's really going on in the economy. Mixed. The data's mixed. And all I can say is that's positive. It's positive because it cuts in favor of the Fed doing nothing and letting the economy grow a little more so that workers can start getting some raises and do better than the bosses for a change. Remember what's at stake here. We are in the midst of earnings season where we can piece together a mosaic of what's really going on in the economy. We want to be able to do that so we can determine if the Fed's right with its current course of raising rates one more time in December, and then three times in 2019, because the economy is strong enough to handle what the Fed calls the normalization of its rates. The ostensible reason is that the economy's at full employment and if you let it get any stronger then we might ignite hard-to-stop wage inflation. I think that the Fed's right to stay focused on any form of inflation. We want that. But the issue is that there are so many pockets of weakness that it worries me the Fed is fighting a war that it might already be winning and it's worth it to pause the rates for the moment and see what the rate increases have already done. Let's give the Fed its due. Let's talk about what the giant railroad CSX (CSX) said on its call last night. It keeps track of 10 cargo lines and only one, fertilizers, was negative, minus 2% over last year. The rest were up and the total revenue gain year over year was 14%. Listen to the breakdown: chemicals plus nine, driven by broad-based growth ag and food products, plus 13%, caused by domestic and export strength. Automotive's great 12%, with the stars being North American trucks and SUVs. Strong demand for minerals for construction and paving projects drove a 14% increase. Forest products jumped 23% with building products and e-commerce excelling. Metals and mining plus 15%, via truck conversions to rail and demand for construction and pipe. Intermodal, the trucks on rail, jumped 12%, because of tight truck supply and strong international demand. Finally, and amazingly, coal which soared 12% because of exports which were partially offset by a decline in domestic utility coal. Holy cow, that's some litany of strength. You add the incredible numbers that United Continental (UAL) gave us last night, a set that caused the stock to soar because they were much better than expected, and you end up wondering why Powell isn't moving even more aggressively. But then when you drill down to other areas of the economy you find some numbers that are downright hideous. First you have housing starts which fell a shocking 5.3%, and while they might have been knocked back a bit by hurricane Florence, that's just a terrible number. Credit Suisse isn't waiting around for the numbers to filter through to retail. It took KB Home (KBH) , the huge builder known for its exposure to California to an outright sale. I get that. With mortgage rates at 5%, JP Morgan (JPM) said in its conference call that housing could be down 10% in 2019. It also downgraded Home Depot (HD) and Lowe's (LOW) , the sacrosanct retailers deeply related to housing. The brutal downgrades resonated, sending the stocks tumbling. I like those stocks but they did feel like falling knives and I am no butcher block. The downgrade to Home Depot and Lowe's crushed the entire retail group. That's worrisome because you never want to see retail slow down ahead of the holiday season. Next, while CSX saw good truck demand, we know that auto demand is tailing off and the stocks of Ford (F) and GM (GM) tell the tale. I have seen some tremendous dislocations caused by the preannouncements from Trinseo (TSE) , a maker of plastic that, in part, goes into cars and from PPG's (PPG) coatings division, again directly related to cars and trucks. Could CSX's numbers be rearview mirror? How about steel? Prices are too elevated to make building economical, according to Barry Sternlicht, who came on "Mad Money" last week and said that his Starwood Property Trust (STWD) has watch construction slow because of the price increase among other reasons. That's the tariffs talking. The Fed can't impact those. Then there is loan demand. I have seen regional loan demand slow, going down to as a low as 1%-2% in many regions where it was double that not long ago. Loan demand is essential for any prognostication and it is mediocre. No wonder the stock of Vulcan Materials F, a giant stone or aggregate company, hit a 52 week low today after it was taken to a sell by Bank of America because of weak new project numbers. You don't build roads when there's no demand for them. Basic building block materials for the economy, plastics, linerboard, continue to be softer. They are always good indicators of what's to come. And then there is the trade war with China. The tariffs are just now reaching main street and while the retailers will pass on some of it to the consumers, a lot of it they will have to eat. They have no choice. But, again, the Fed isn't putting through the tariffs, the president is. Now, I'm not including some one offs that you might be focusing on. Netflix (NFLX) reported a good quarter and the stock reacted positively but that had nothing to do with the economy. IBM (IBM) took a step back in its transition to give people the growth they want, with its strategic imperative pivot set back by some surprising slowdowns. I think that might be lost business though, and not a decline in overall demand. More important, put yourself in the hands of the Fed. They are determined to raise rates no matter what and even have stated they are willing to overshoot in order to stamp out inflation. The Fed under Janet Yellen would never take that stance. Instead it would make a move and then sit back and wait to see if the move impacted the economy too negatively. It was called date dependence. But I called it common sense. Now we have a Fed that seems to want to ignore anything negative, the negatives about housing, about autos, about linerboard, about plastic, about construction and instead just lay down on the tracks of CSX. I think that's both lazy and irresponsible. Now, I am perfectly willing to see the December rate hike because I can see how there's still margin for error because there is enough that is strong in the economy to merit a tightening. But, to me, the negatives are so powerful that I would then say, you know what, we are doing this December rate hike and then we are going to wait and see what happens in 2019 because we may be done with our work. If the sectors that are hot get even hotter and the sectors that are cool turn hot, then I know I will embrace more rate hikes. All I am asking is that the Fed considers that the economy has gotten weaker and perhaps it is best to pause before it tips us into a slowdown that can't be as easily overcome as an acceleration that gives people more jobs and, for the first time in ages, allows them to save for retirement or for college or anything else that has been eluded them for ages in the richest country on earth. Action Alerts PLUS, which Cramer co-manages as a charitable trust, is long JPM. I don't care what Netflix says about weak domestic. I care about the slate. I care about missing out.